We knew that everything women get involved with gets pussified and feminized, beyond recognition. Applies to anything and anyone they come into contact with. Including something that used to be called "men". That's how we are ending up with militaries made of chicks, pussies and losers, and soon incapable of fighting wars. That's how we end up with open borders and population replacements on our own ancestral land. That's how we end up with collapsing bridges. And that's how we are ending up with hysteria to ban guns to make sure an entire population is defenseless against an increasingly dysfunctional government, a failing military, and a never ending influx of enemies. 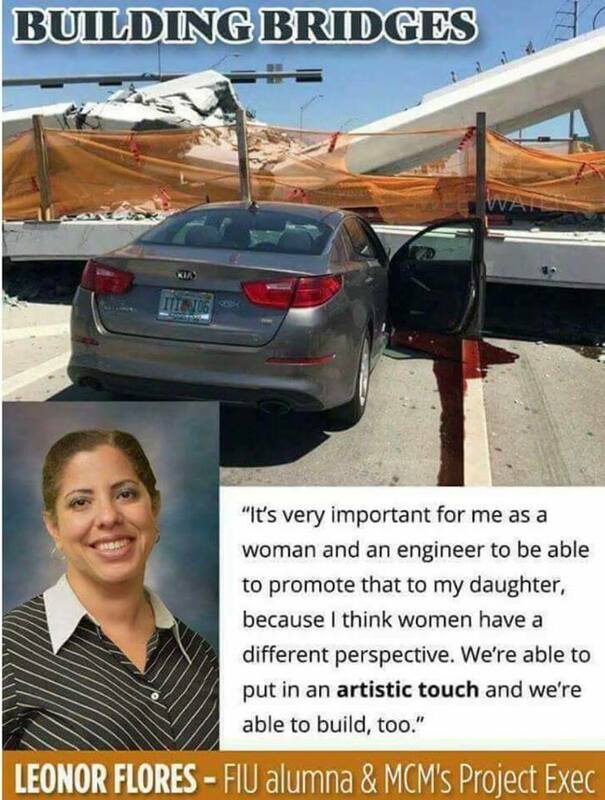 We have a better solution: Let's get more women to build bridges, so they will collapse before shooters can reach schools.